I first met Sara in Arizona and immediately thought she was the bees knees. Then I got to meet her man, Kalen, and was also not disappointed. The two of them are the most easygoing and friendly people you’d ever encounter and I am so SO SO glad I can say our paths crossed. Windy kisses, messy hair, and all black against the neutral landscape of Joshua Tree. We set out to Joshua Tree National Park, armed with beer and black Levis denim jackets. 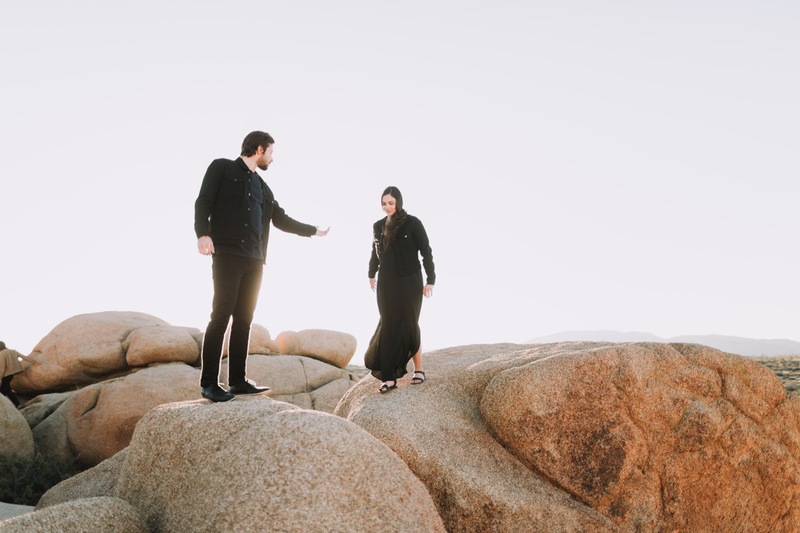 Sara and I watched as Kalen scaled the Jumbo Rocks to ridiculous heights and it was so fun to chase the sunset around the corner and through the Joshua Trees of the park.